Choose from beautiful plaques, various trophies, resin hockey statues, medals, acrylic awards or bobble heads. Scroll this page to get a brief description of each award, To find out more on a product or make a purchase click a button above. We think you will find our Hockey Awards to be of good quality, very economical and we have a reasonable turn around time. 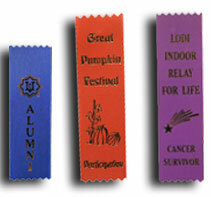 See all the bookmark sports ribbons on this page.